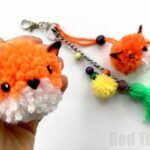 So the great pom pom love continues. 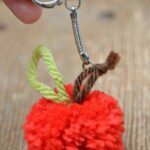 Earlier in the week, we made some hedgehog pom poms, today we share with you this adorable little Pom Pom Spider. 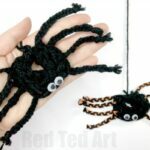 I love it on so many levels – one it is a pom pom (already a winner), two it makes for a super cute Halloween craft (no nasties here, just a cute little spider pom pom) and would make a great addition to many a Halloween Costume (check our ideas out) and three, it is perfect for Nursery Rhyme series too! 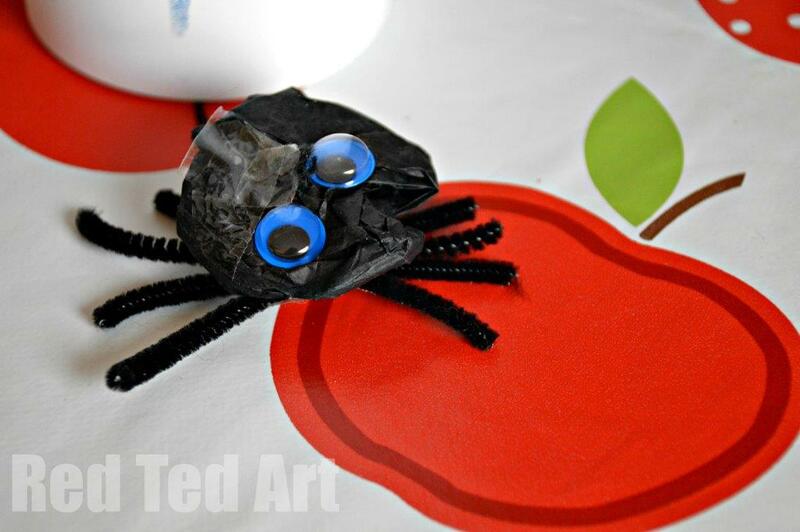 A perfect little spider craft to go with Little Miss Muffet (much to Pip Squeak’s delight!!). 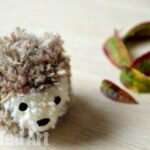 We used our much loved pom pom maker (info below), however, you can apply the same “step by step” guide to the traditional “circular cardboard method“. I think a “string of these” would also ake a fabulously easy DIY Fall Garland Idea! 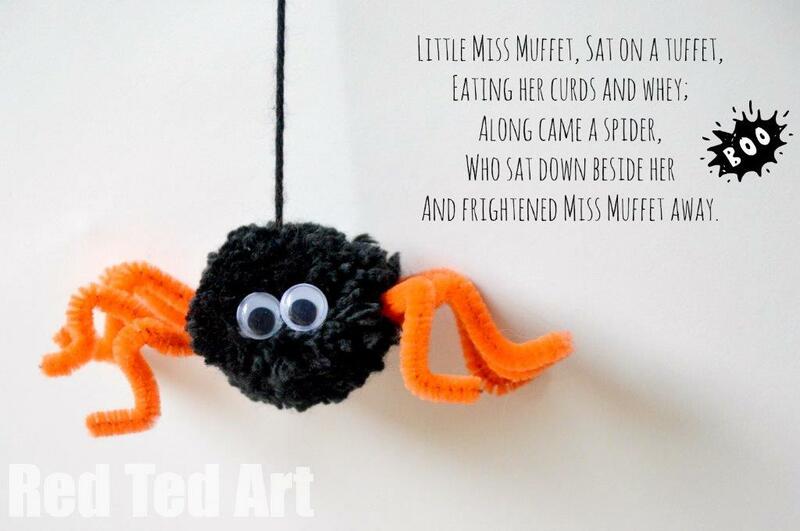 These Pom Pom Spiders were first published in Sept 2014 and have been updated and republished for your convenience! 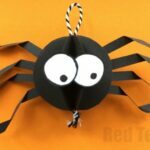 If you love the CUTESTness of this pom pom spider, do check out our how to make a 3d paper spider idea too! Just so fun and adorable! 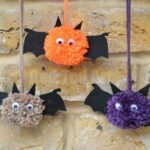 1) To make your pom pom spider – follow the pictures from the top right in a clockwise direction – first make your standard “black pom pom”. 2) Then cut your two pieces of pipecleaner in half, to make 4 pieces. 3) Now VERY GENTLY push one after the other through the CENTRE of your pom pom. You have to be really careful, as you ca push some bits of full out by doing this.. so do gently! 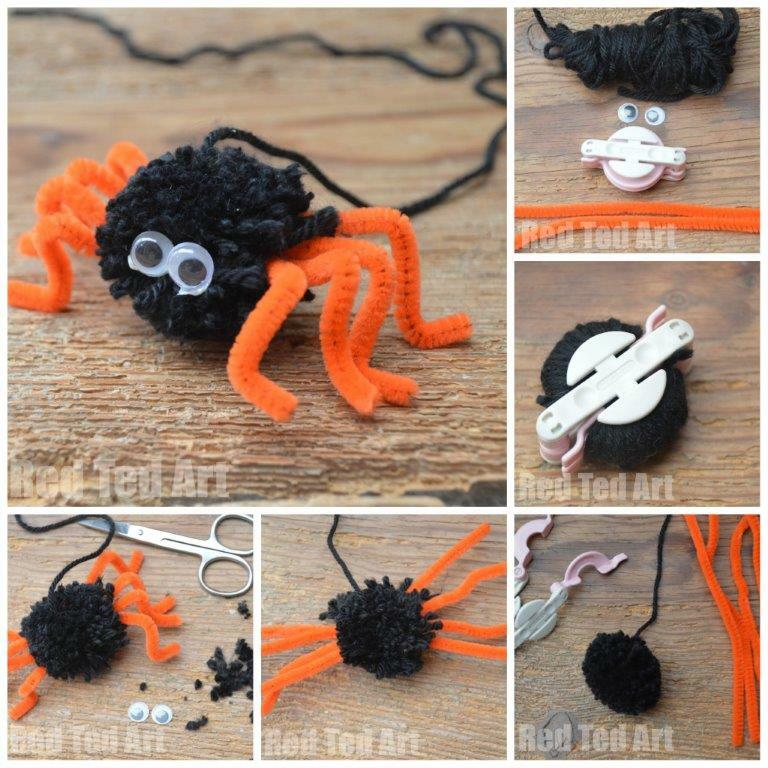 4) Trim your Pom Pom Spider and glue on your googly eyes. AND DONE! Time to give someone a (not so scary) FRIGHT! 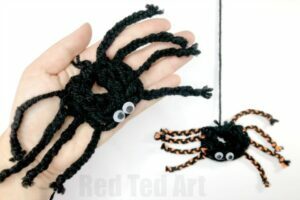 How about some super duper cute and easy Finger Knitting Spiders? 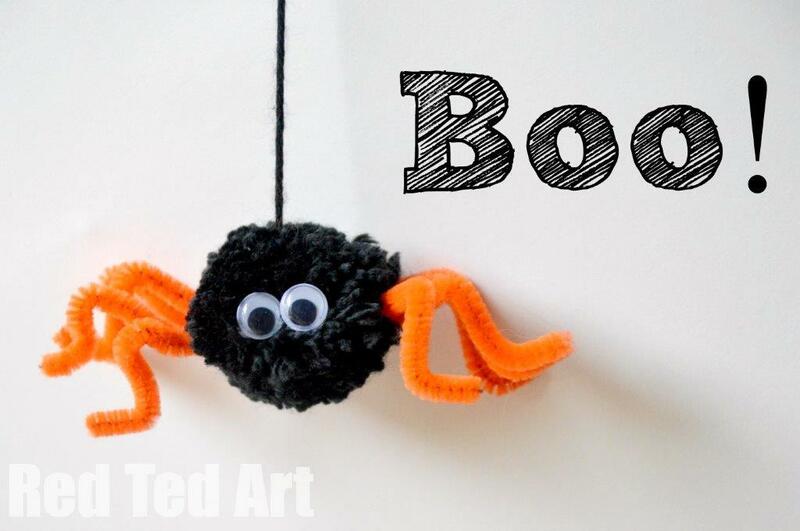 A perfect Halloween Decoration or great for Incy Wincy Spider songs! Fancy some more pom pom ideas? 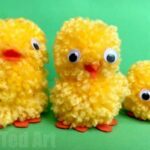 Check out these 25 Pom Pom Crafts that we have collated for you!